Harvey set a record for US rainfall from a tropical system with 51.88 inches..
BEST SOUTHWEST—Thousands braced for impact as Hurricane Harvey made its second landfall this week in western Louisiana. At the same time, several groups in the Best Southwest are preparing to lend aid to those displaced in South Texas. Countless families have been forced to leave their flooded homes, losing everything they own – and the storm isn’t over yet. Significant flooding and tornadoes are still predicted. 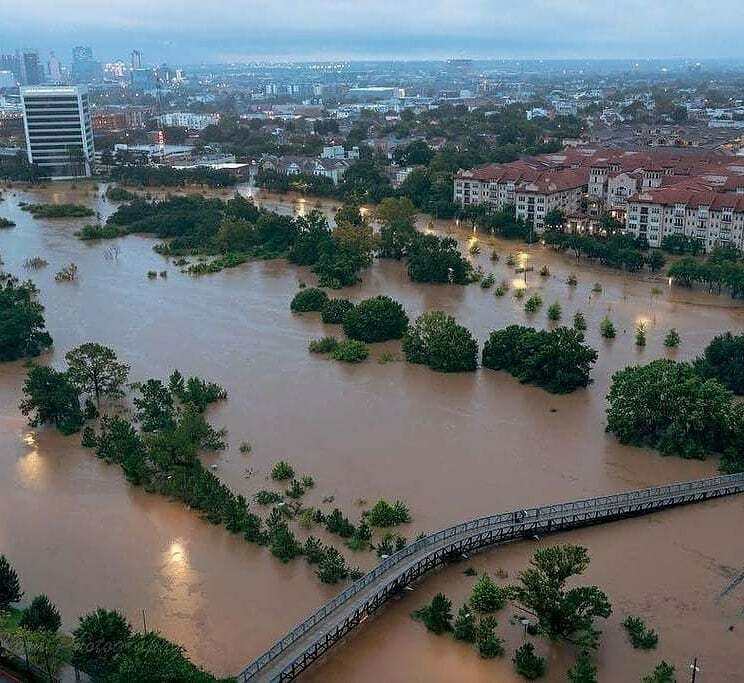 As much as 50 inches of rain have fallen, and parts of Texas comparable to the size of Lake Michigan remain underwater. Firefighters from throughout the area including Cedar Hill, Duncanville and Red Oak are members of the Texas Intrastate Fire Mutual Aid System (TIFMAS) and have been in South Texas since last week. The Cedar Hill AMBUS (ambulance bus), along with a 7-person medic crew, was deployed Thursday night to San Antonio. According to reports they have completed two missions, evacuating 7 patients from a nursing home in Corpus Christi, and transporting 12 hospital patients from Victoria to New Braunfels. In addition to the AMBUS crew, several members of the Cedar Hill Fire Department deployed throughout the Gulf Coast. Cory Landers, serves as a member of one of the State’s rapid response teams. Texas Task Force 2, which was also activated on Thursday night. He has been engaged in rescue operations with that team throughout the weekend and is currently in the Houston area. Deputy Fire Chiefs Rodney Smith and Rafael Reyes have been deployed to Aransas Pass as part of the Texas Emergency Management Assistance Team to work with local officials on their incident management team. Workers from the Tri-City Animal Shelter in Cedar Hill travel to South Texas to rescue animals affected by the storm. During natural disasters family pets suffer as much as their human counterparts. According to the Humane Society of the United States more than 60 percent of American homes have pets. But often these furry family members are turned away at shelter doors. In 2005 during Hurricane Katrina, more than 250,000 pets — from cats and dogs to parrots and fish — were left stranded by the storm’s destruction. Pets are not permitted in most public emergency shelters due to health regulations and other legal concerns. 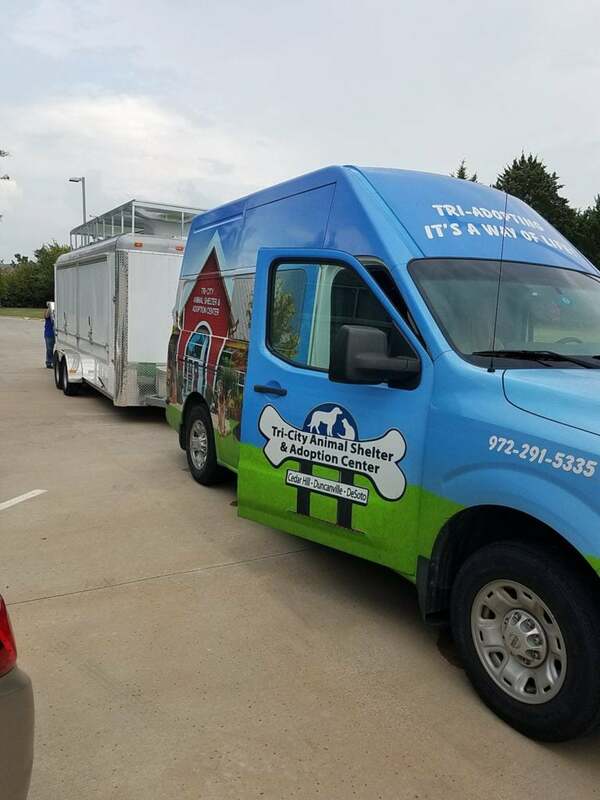 That is why the Tri-City Animal Shelter’s emergency response trailer was deployed to Austin Thursday and Friday to retrieve and transfer animals from coastal shelters to make room for post-storm recovery operations. “Approximately 50 animals were transported by our team and distributed to various shelters in the region,” confirmed Ream. 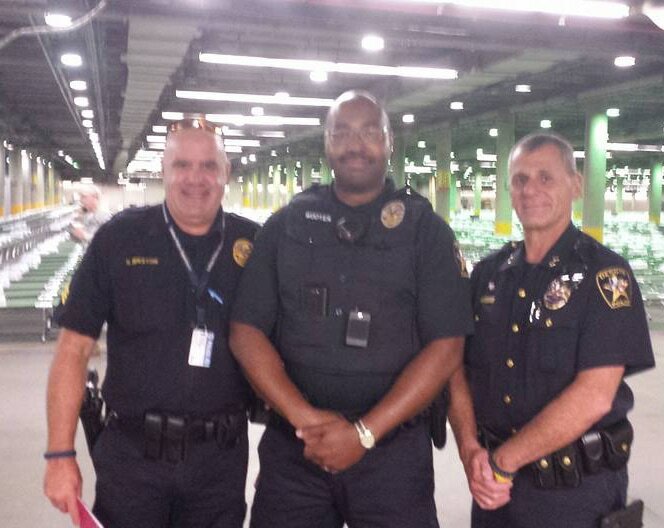 DeSoto Police officers offer support at the ‘Mega Shelter” at the Kay Bailey Hutchison Convention Center. Police and Firefighters from DeSoto, Cedar Hill and Lancaster will provide support to the City of Dallas’ mega shelter at the Kay Bailey Hutchison Convention Center. These officials will serve under the auspices of law enforcement personnel, the Best Southwest Regional C.E.R.T. team and animal services resources. The shelter will be in the center’s parking garage level and will not affect events or shows currently booked. “We have been advised by the state to be prepared for up to 5,000 evacuees, and we are committed to doing whatever it takes to accommodate our fellow Texans who may need assistance,” said Office of Emergency Management Director Rocky Vaz. Many Dallas municipal departments, Red Cross, Dallas County, Parkland Hospital, Salvation Army, Children’s Hospital and numerous volunteer organizations rallied to have the shelter up and running and ready to take in guests Tuesday morning. Currently, the shelter at Walnut Hill Recreation Center is at full capacity with 290 guests. The Tommie Allen Recreation Center’s shelter has 123 guests. Dallas officials plan for those evacuees to remain at the centers for the time being. Regional members of the Citizens Emergency Response Team have been on site setting up the mega shelter. Officials expect evacuees in the thousands once the roadways clear. While it is unfortunate that this devastation has taken place, local CERT team member Myra Rand says they were prepared. CERT volunteers were among some of the first responders to the 2012 tornado that devastated Lancaster. Rand has been a CERT member for the last nine years and encourages others to join too.